These, Ladies and Gentlemen (OK, probably mostly gentlemen) are the most realistic Lego replicas that you may ever see. They’re not replicas of real vehicles of course, but of three wonderful die-cast Hot Wheels toys from way back in the 1970s. Lego builder Brick Flag of Flickr recently decided to recreate his favourite model cars from his childhood, and in doing so he may have built the most accurate-to-life Lego models of the year. Hot Wheels launched their die-cast vehicles ‘Ramblin’ Wrecker’, ‘Emergency Squad’ and ‘Fire Eater’ between 1975 and 1977, and now 40 years on Brick Flag has faithfully rebuilt the iconic toys so brilliantly that in some photos it’s hard to tell whether you’re looking at the metal original or the plastic replica. There’s more to see of each beautifully stickered build, as well as the 40-year-old original which inspired it, at Brick Flag’s photostream – Cick here to take a trip to a bedroom floor circa ’77. Like one of those T-shirts showing the evolution of man, Flickr’s Galaktek has been charting the evolution of the fire truck, from its beginnings as a motorised vehicle before the Great War until the mid-’60s (with more to come we hope), and our ingenious special effects department* has collated Galaktek’s three builds chronologically above. From top to bottom; 1912 Mercedes-Benz Feuerwehr-Motorspritze, 1950s Mercedes-Benz L6600, and 1960s Seagrave open-cab tiller. There’s lots more to see of each historic fire truck at Galaktek’s photostream – click the link above to dial 911 through time. 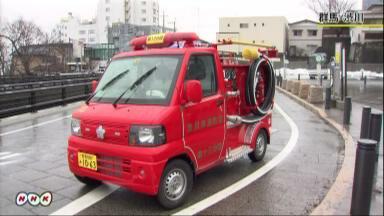 …You need a really BIG fire truck. This one is a huge 8×4 Mercedes-Benz Actros by Smigol, and it looks substantial enough to tackle anything that combustion can throw at it. There’s more to see on Flickr – click the link above to dial 911.